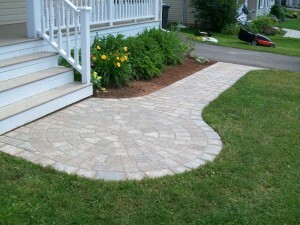 Creative Gardening & Landscapes is a full service landscape design & build company in PEI. We provide everything required for your project from the design to completion. For materials, equipment and skilled labour, we are your one source for all your landscaping needs. Proudly serving Prince Edward Island, we have positioned our company at the top of our field through our commitment to excellence, workmanship, strong client relationships and referrals. We ensure your project is completed to your specifications and 100% satisfaction. We maintain each and every project to ensure your landscape establishes and thrives for years to come. For each project, Creative Gardening & Landscapes offers an ongoing maintenance program should you require. Owner Keith Doiron, with 25 years of industry experience and with his team of expert technicians, has built his business with a commitment to excellence, workmanship, strong client relationships, trust, knowledge, and teamwork. He started the PEI landscaping company in 2006. We will not compromise on any aspect of your landscape project from concept to completion. We take the time to carefully plan each phase of the project for a successful outcome that is on schedule and on budget. Each project is designed to enhance the unique characteristics of your property. Creative inspiration comes from years of experience and by incorporating client and design team ideas. We carry commercial liability insurance and are in good standing with the WCB of PEI. We are a member of the CNLA, Canadian Landscape Nursery Association and a member of the PEI Landscape Association. Enhance the unique characteristics of your property with gardens, landscaping and water features. We can work with you to create a custom design. Looking for ideas or inspiration for your garden or landscape? Browse the photo galleries. Spring is here on PEI! With over 25 years of experience, you can trust our team to provide a range of creative landscaping services.